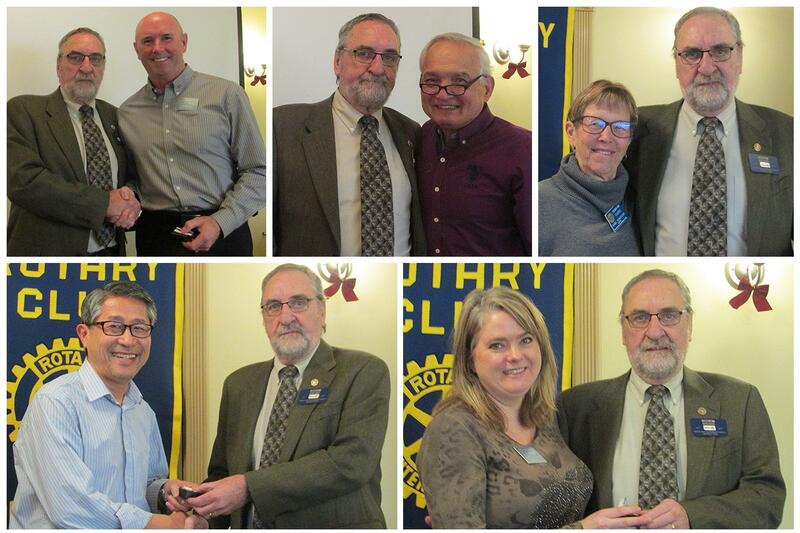 On Monday 7 January, five Rotarians received Paul Harris Fellowship recognition. These five Rotarians' contributions to the Rotary Foundation will support service projects both close to home and around the world. During the past 100 years, the Foundation has spent $3 billion on life-changing, sustainable projects. AG Norm Brown presented the pins. We salute Rob Marshall, Heino Lilles, Isabel Reinertson, Winston Lee-Hai and Kari Wilkinson.